Here’s a perfect item for April Fool’s Day, although it is for real. 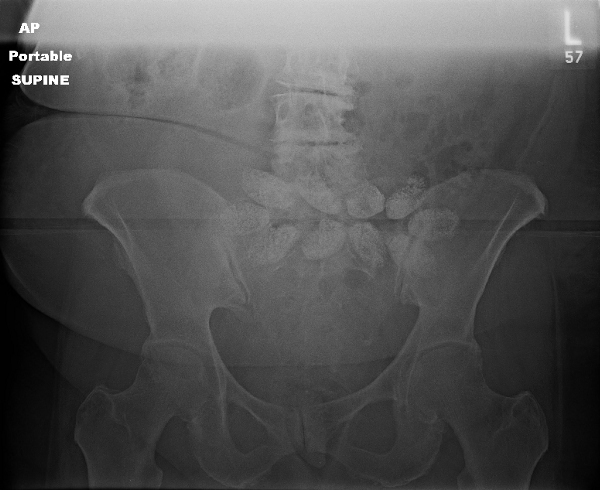 The xray below was a pelvic image obtained during a trauma team activation. I’m not going to give you any more information than that. You’ve got until Monday to figure out what’s doesn’t belong and give me an answer in the comments. I’ll post the full story and answer then.